On Friday, 8 June 2018, the Premier of New South Wales Hon. 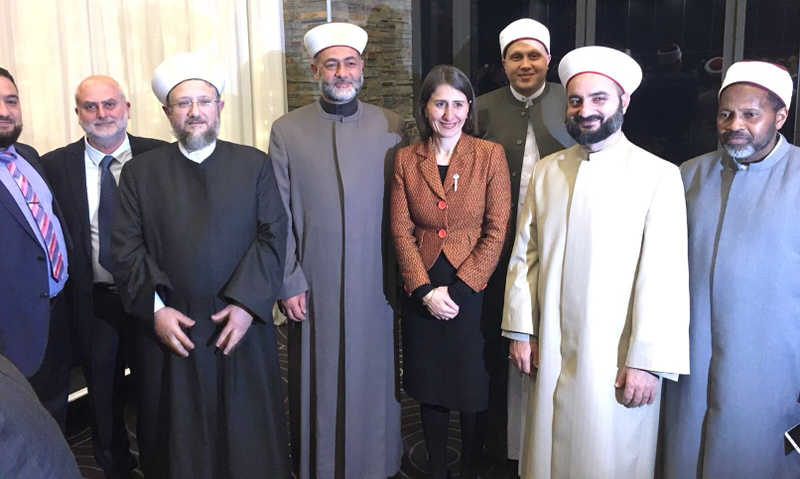 Gladys Berejiklian hosted an Interfaith Iftar dinner at the Waterview Function Centre Sydney Olympic Park. 2018 Premier’s Iftar dinner! An opportunity for all to come together and celebrate community harmony. More than 300 people attended an interfaith Iftar, an event which marks the breaking of the daily fast for Muslims during Ramadan. Christians, Jews and Muslims came together to hear Azan and reciting of Quran and then eat a meal together. Guests also reads Quran Recitation Translation in the event brochure. attended by The Hon. Victor Dominello MP, New South Wales Minister for Finance, Services and Property, The Hon. Ray Williams MP, Minister for Multiculturalism and Minister for Disability Services, Mr Luke Foley MP Auburn, Mr Mark Joseph COURE MP Oatley, Mr Jihad Dib MP Lakemba, Dr Mehreen Faruqi – Greens NSW MP, NSW Police Deputy Commissioner Mr Jeff Loy, Dr G.K. (Hari) Harinath OAM, Chairman Parramasala, Dr Stepan Kerkyasharian AO, Chair of the Board of Cemeteries and Crematoria NSW, Mr Hakan Harman, Chief Executive Officer of Multicultural NSW, the former mayor of Liverpool Mr Ned Mannoun, The Consul General of Pakistan Abdul Majid Yousfani, Consul General of Lebanon Mr Charbel MACARON, Consul General of Egypt Mr Yasser Mahmoud ABED, Members of Parliament, Diplomats, Journalists, Commissioners of Multicultural NSW, Muslim Imams and community leaders, as well as religious leaders from other faiths. Premier NSW Honourable Gladys Berejiklian welcomes all guests and said Ramadan is the most significant time of the year for Muslim community. It is a time of celebration but also a time of restraint and quiet reflection. She said Government of New South Wales Iftar dinner are a great example of all different faiths getting together to understand each other. 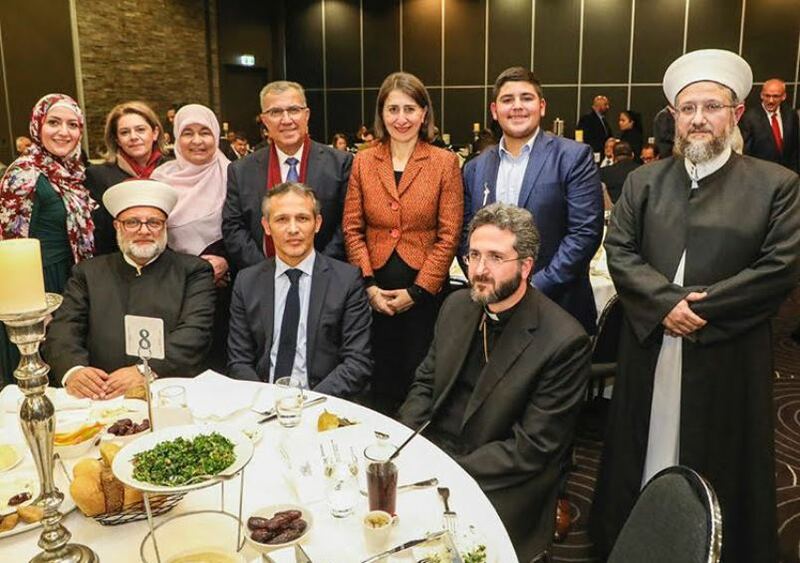 “I’d like to wish everyone observing the holy month, Ramadan Mubarak,” the host of the event Premier Gladys Berejiklian said. 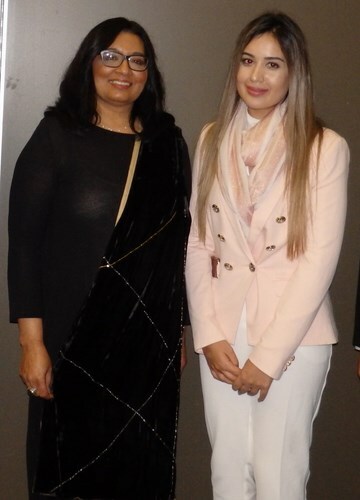 The Premier Gladys Berejiklian said that she belongs to an ethnic background and it is a great fact that in Australia we all respect everyone’s religion, faith and culture. The Hon. 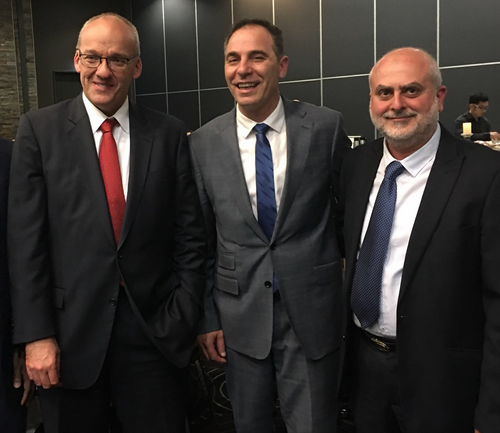 Ray Williams MP, Minister for Multiculturalism and Minister for Disability Services said that this special event reflected the efforts of the NSW Muslim community to promote interfaith harmony and understanding. Minister Ray Williams said that New South Wales is a multicultural state where we have all united and promote Australian values. Minister Ray Williams said that many political, religious and community leaders from different faiths and backgrounds were eating together in this dining hall. Minister Ray Williams said that the Government appreciates the efforts of the Muslim Community for development of Australia and hopes for a positive role and influence in the future. Minister Ray William speech focused on the message of unity, He said that interfaith work has been about building bridges, which was an important part of Australia's successful social cohesion.